You might have heard that vinegar is one of nature's miracle treatments, but does it help get rid of pimples fast? 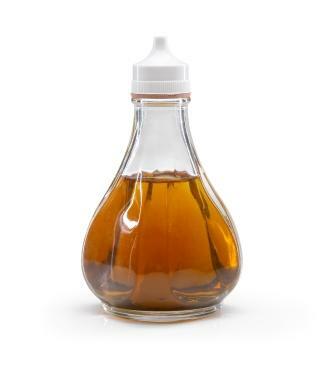 It is time to find out whether vinegar is a kitchen staple or a medicine cabinet necessity. There are several reasons vinegar may work as an effective acne treatment. Vinegar is a natural drying antiseptic. Just like witch hazel, it can be applied to the skin after cleansing as a natural toner to help remove impurities and absorb excess oil. According to the Women's Health article, "9 Ways To Use Vinegar for More Beautiful Skin and Hair," apple cider vinegar contains alpha-hydroxy acids and acetic acid. These minimize pores and boost circulation. There are many different uses for vinegar thanks to its antimicrobial properties. It is commonly used as a natural disinfectant but can also clear up the skin. Its antiseptic qualities kill the bacteria that cause pimples. Hard to believe? From online reviews like "How I Cured My Acne With Apple Cider Vinegar" to YouTube videos praising the effects of this natural toner, there are countless success stories to consider. Another way vinegar can clear up your skin is by restoring the proper pH balance. This is important as skin that is too acidic often appears irritated, red, and is prone to breakouts (as stated in the Into The Gloss article, "Your Face's pH Balance"). That makes it especially important to achieve and maintain a balanced, healthy complexion. Reduces Swelling: One of the major issues related to pimples is swelling. This can cause irritation and pain, not to mention noticeable redness. There are many effects of using apple cider vinegar on the skin, such as neutralizing redness, reducing swelling, and preventing infection. Natural Antiseptic and Antifungal: Vinegar is an antiseptic and antifungal agent. According to Progressive Health, white vinegar can remove bacteria that causes acne, like Propionibacterium acnes and Staphylococcus epidermis. Reduces Oil: Using apple cider vinegar as a toner can treat acne by reducing oily skin and normalizing sebum production. This is important as excess oil causes clogged pores, redness, and breakouts. Encourages Healthy Skin: Maintaining a balanced skin pH level (a healthy complexion has a pH of 5.5) is essential. If your skin has dry patches, breakouts, blemishes, or unevenness, it may due to your level. Vinegar restores balance to naturally acidic skin. Natural Product: Since it is a natural product, many women prefer using this on their skin. It doesn't have the harsh chemicals and preservatives found in many other skincare products. Low Cost: Many skin care and acne products can be expensive, but apple cider vinegar is inexpensive and easily available. Acid Level: While apple cider vinegar is more commonly used for spot treatment than white vinegar, it is the level of acetic acid you need to pay attention to. Make sure you choose one with five percent or less. Anything higher is very acidic and can cause side effects like burns and skin damage. Not Proven: Much of the information about vinegar as a cure for blemishes is anecdotal. That means there are no specifics on the timeframe. What works quickly for one person might take longer for another because of differences in the skin's condition or individual body chemistry. Effectiveness Varies: Unfortunately, not everyone who uses vinegar has a positive outcome. Some may find their skin is completely clear while others will see no change whatsoever. For example, the reviews on Acne.org highlight a wide range of experiences, from users praising its effectiveness, to temporary results, burned skin, and no noticeable changes. Strong Smell: Vinegar has a very strong scent which may or may not be bothersome. If you cannot stand the smell, you are unlikely to use this treatment method on a regular basis. When it comes to home remedies, not all vinegar is created equal. Rather than reach for white distilled vinegar, you'll need to purchase pure, unfiltered apple cider vinegar to treat skin care and digestive ailments. (Something like Viva Naturals Unfiltered Undiluted Non-GMO Organic Apple Cider Vinegar, available for about $13, works well). Apple cider vinegar is available at fine grocers, specialty health food, and vitamin stores - and can be used for many conditions. Just take a look at the Reader's Digest article, "13+ Health Benefits of Apple Cider Vinegar" for a few examples. Once you become familiar with its many uses, you may want to keep it on hand. There are two different ways to treat pimples with apple cider vinegar. The first option is to apply the vinegar directly to the blemish using a ratio of one part vinegar to two parts water. (This DIY Apple Cider Vinegar Facial Toner recipe offers alternatives for sensitive and oily skin.) Reapply the mixture several times during the day to dry out the pimple - and be sure to moisturize afterward. This will prevent the skin from becoming too dry, which can cause the sebum glands to overproduce and exacerbate an outbreak. These methods can be used independently of each other or combined for maximum results. No matter who you are, chances are you've had a pimple rear its ugly head right at the most inopportune time. Perhaps it's your wedding day, or the prom, or a much anticipated date night. If you are desperately searching for a quick cure, keep vinegar in mind. Just remember that its cure rate varies. The next time a pimple makes an appearance, test out the vinegar, and if it works for you , keep a bottle on hand for future outbreaks.